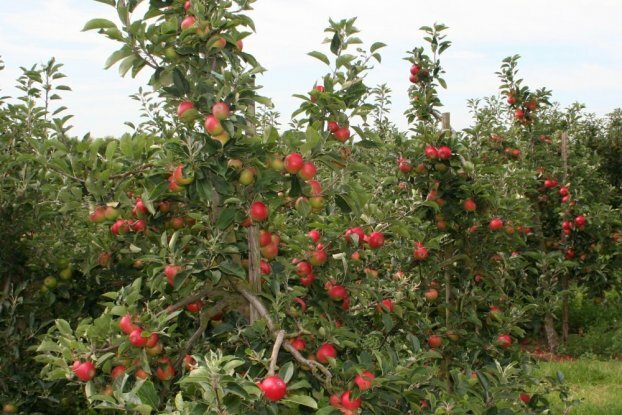 The English Apple Man is a website dedicated to informing consumers about how the apples they buy in Supermarkets, Greengrocers, Farm Shops and other outlets are grown, harvested and marketed. 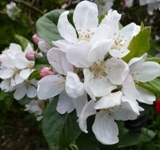 The Journals give a weekly update on events in our English apple orchards, using pictures and video clips to follow seasonal activities and giving the consumer a level of detail not available from any other source. While there is enthusiastic support for older traditional varieties from dedicated interest groups and supportive media, the English Apple Man will endeavour to explain why support for the mainstream commercial production of English apples is vital to a sustainable apple industry in this country, delivering recognised benefits to the health of our consumers while maintaining our diverse and beautiful countryside. 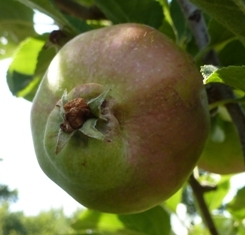 Varieties grown commercially are relatively few in number, when matched against the 2300 varieties on display at The National Fruit Collection at Brogdale in Kent and while there is an increasing desire by all parties to retain and where possible reintroduce the best of our heritage varieties, the sustainability of our apple acreage depends on no more than a dozen varieties. However, that does not mean we should dismiss all the efforts of growers determined to maintain our many heritage varieties, we must support all our producers, whether they be small in acreage, selling directly to the consumer, or large scale operations growing a thousand acres or more and totally dependent on supplying our supermarkets. The History of The English Apple Man is a story of a lifetime spent in the industry, as a boy straight out of school, then as a young man developing all the practical knowledge of growing and later taking on the management of the family fruit farm, then changing course to join the major supplier of English Apples in a technical role and finally becoming Technical Director with a responsibility for product and environmental safety, product quality, and technical innovation. Now retired, The English Apple Man will bring his unique experience of the English apple industry to all who visit the English Apple Man website. 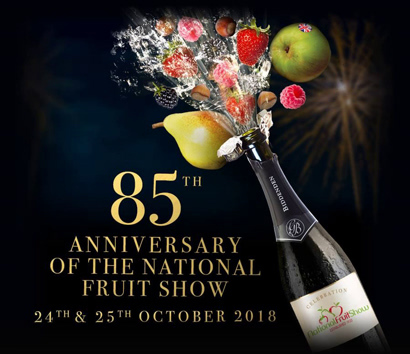 The 2018 National Fruit Show takes place at the Kent Showground, Detling, Maidstone on Wednesday 24th & Thursday 25th October - this year is the 85th Anniversary of the Marden Fruit Show Society and the first show held in Marden in 1933 at Walton Hall, Pattenden Lane, owned by Tom Walton who was a fruit salesman. Marden was the birthplace of what is now known as the National Fruit Show. 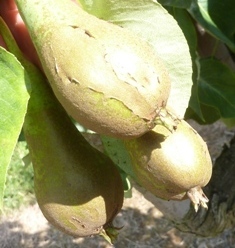 Looking for home grown apples and pears? April can make fools of all of us! Robot apple picking and other news! Are we up a Gum Tree? This week The English Apple Man attended two Technical Conferences: On Tuesday the AGROVISTA Technical day and on Wednesday the BIFGA Technical Day. 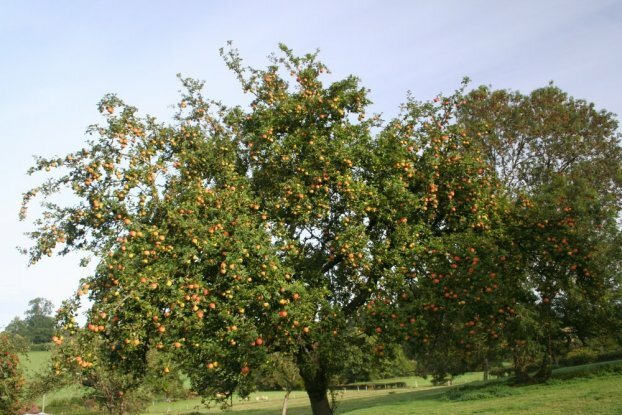 On Tuesday, The English Apple Man joined fellow members of the East Kent Fruit Society (EKFS) for the society AGM, Orchard Competition Prizegiving and Dinner. With Brexit dominating our news, our fruit growers continue to worry about where the harvest workers will come from for 2019 and beyond. 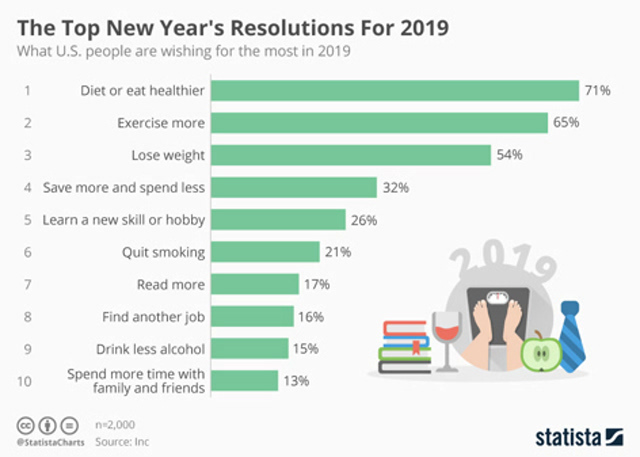 As we settle into 2019, what will our New Year's Resolutions be and will we manage to observe any across 2019? The debacle of Brexit will no doubt continue to dominate the media! IF- we leave the EU without a deal, what are the prospects for our fruit-growers? Another year passes and it will soon by 2019! Just four more 'sleeps' to Christmas Day!!!!!!!!!! As we approach the last full week of trading before the Christmas week begins, The English Apple Man has taken a 'whistle stop tour' of UK Supermarkets to see how many different varieties are on display in each of the UK retailers. Once December arrives, Christmas is upon us before we know it! 30 years ago in early December when The English Apple Man was still growing apples, we would be busy packing apples for Sainsburys and Tesco; in the packhouse Christmas music adding to the festive atmosphere. The Pogues and Kirsty MacColl singing "Fairytale of New York" released in 1987 was one of our all time favourites! Now apple packing is a much more mechanised affair with computer aided quality selection and robotic stacking of packed crates commonplace. Much more efficient, but not as much fun! Last week the Journal centred on machinery and in particular picking rigs and platforms. Touring the Interpoma Trade Show last week, The English Apple Man was keen to identify new 'innovations' for our apple industry. After arriving back in 'Blighty' after two weeks in Malta on Monday, The English Apple Man set off on Wednesday for The Interpoma Trade Show in Bolzano in the South Tyrol with a group of grower friends organised by FAST. As our holiday in Malta nears it's end, The EAM reflects on more elements of The National Fruit Show. The English Apple Man is now in Malta enjoying a break with Mrs Apple Man and our daughter. This week the Marden Fruit Show Society (MFSS) held the 85th Anniversary National Fruit Show at The Kent Event Centre at Detling. In this week's Journal the emphasis is on the celebratory mood and in particular J.R. Breach celebrating their 50th Anniversary of attending the National Fruit Show. Over the next two weeks, I will report on the show more comprehensively and list all the trophy winners and cover many of the outstanding 'trade stands' which are integral to the success of this the 85th anniversary show. 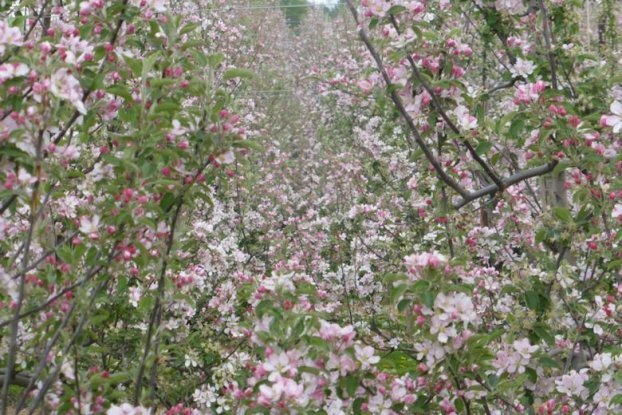 What will the influence be on apple growing if our climate gets warmer? In last week's English Apple Man Journal the English Apples and Pears 2018 Season Launch of 'Great British Apples' highlighted the exceptional taste of home grown apples after the summer sun raised sugar levels above the average. This week English Apples & Pears launched the 2018 season with a promotional event in London. As September draws to a close, what does October offer? 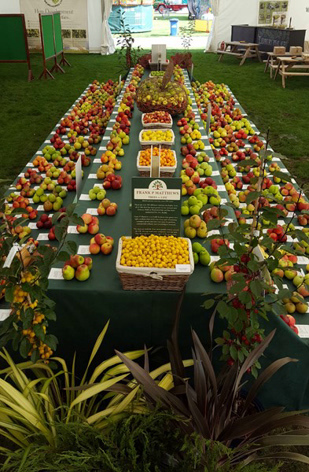 This weekend is The Malvern Autumn Show and my friends Nick Dunn and his Daughter Stephanie will be showing their products from FP Matthews and displaying 350 different fruits. During October there will be many outstanding opportunities to visit Festivals celebrating our wonderful apples & pears. As we enjoy a week in Wiltshire, this week's Journal will be a bit of a mixed bag! My wife and I + our dog, are currently enjoying a break in Wiltshire, looking after my brother & sister in law's home & dog while they spend a week on a yacht sailing up the coast of Croatia! Gala, Gala, Gala UK's number one apple! 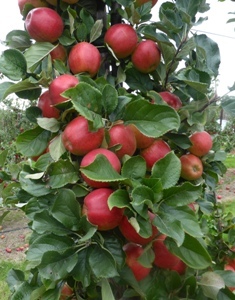 Uk apple growers grow many delicious apples, but Gala is the number one in volume sales! As we move from August into September the apple picking season really takes off! It's a while since The EAM visited Jeremy Lindsell's Braisworth Orchards in Suffolk but my 3 hour drive from the Sussex coast was well worth it! The 2018 apple season is underway; albeit with limited supplies of early apples like Discovery. 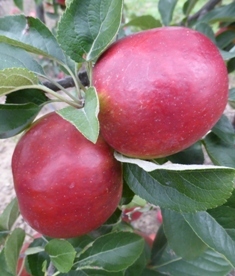 UK Plums are in the early stages of the season with Opal the first to be available on Supermarket shelves. 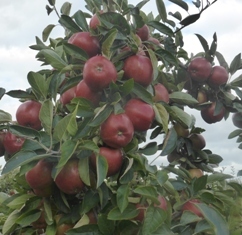 This week The English Apple Man has been in East Anglia visiting three fruit growers with quite different approaches to growing and marketing. Having arrived back home today at 4.15pm, this week's Journal will reflect on some of the areas of interest The EAM identified at the rcent Fruit Focus 2018. It's that time of the year when orchard competitions add interest to the summer as a precursor to the new season which is now only weeks away. On Tuesday The English Apple Man joined circa 100 attendees at Fruit Science Live held at Brogdale Farm, sponsored by ICL with trial work carried out by FAST Technical personnel. On Wednesday after an early start, The English Apple Man spent the day at Fruit Focus an annual event highlighting the latest developments in fruit and viticulture. The hot weather has influenced the ripening of soft fruit and cherries, potentially shortening the harvesting period of each variety. Lack of rain has made Cherry harvesting easier with no fears of splitting caused by rain, however the high temperatures may be responsible for a reduced crop. The World Cup dream is over! What's happening in our orchards? This season is proving an uncertain one as far as crop forecasting goes, but it does seem to be a little clearer. In the Journal for 29th June I wrote: "After the frosts in 2017 which caused sporadic damage across the country, this season shows 'knock on' effects. Where the crop was light in 2017 'generally' a good crop predicted this season, and where heavy crops were prevalent in 2017, crop predictions are not quite as good. However, the 'run off' (natural thinning caused by the tree adjusting to 'as yet' unknown influences - extreme cold and/or extreme heat at critical stages of flower development have been suggested) has been general. 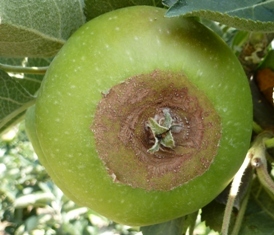 Growers pointed out some of the anomalies - Gala (naturally a good cropper) has been observed to have set 2-3 apples per bunch on the upper branches, while 1-2 on the lower branches. On Tuesday evening East Kent Fruit Society (EKFS) members enjoyed a soft fruit visit to John Myatt at Mockbeggar Farm on the Isle of Grain. On Thursday we drove from East Sussex to Wiltshire; staying overnight before a two hour drive into Herefordshire to meet up with my young Under 40's friends on Friday morning. Second APOLOGIES: I hurriedly placed Journal on line (I thought) on Saturday afternoon before driving to Canterbury for a Golden Wedding celebration, only to realise on our return this Sunday afternoon, that I had NOT ticked the 'Live box' - it is now 3.45pm on Sunday 17th June! While The English Apple Man now lives in East Sussex, for the first 65 years, my home and working life was exclusively in Kent. 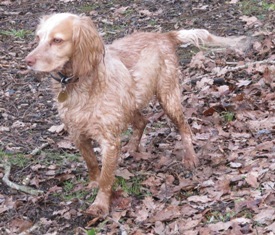 After Monday's extreme rain and cold, what next? The English Apple Man had a busy few days: On Tuesday, attending the Food & Drink Conference organised by Produced in Kent at the University of Kent. 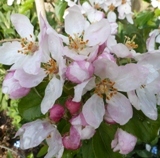 Wednesday and off to Pluckley for the BIFGA Spring Walk and Thursday at the Marden Fruit Show (MFS) AGM held at Bradbourne House East Malling. In the afternoon, after the AGM and lunch, we visited the AGRI Trial plot with AGRI Agronomist Colin Bird and his assistant Francesca Salinari. How late is this season? 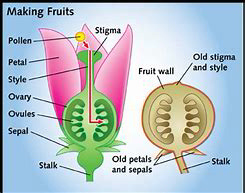 NIAB EMR is a horticultural and agricultural research institute at East Malling, Kent in England, with a specialism in fruit and clonally propagated crop production. In 2016, the institute became part of the NIAB Group. NIAB stands for: National Institute of Agricultural Botany. On Wednesday, The English Apple Man joined fellow members of the Rural Focus Press Group founded by Pat Crawford and held at Hadlow College. Crikey, it's nearly mid January! Glossy new machinery is always appealing and there was plenty of it at Kirkland's Demonstration Day held at AC Goatham & Son's Griffins Farm last Friday - 8th December. More than 160 visitors attended the event, which is the third demonstration day since Kirkland re-located to Griffins Farm. On Friday 7th November, The English Apple Man attended a Farm Forum organised by Ashford & Tenterden National Farmers Union (NFU) Branch at Wittersham Village Hall. Over the next two Journals, The English Apple Man will report on UK apples and pears on sale in our Supermarkets: this week - M&S and Tesco......next week: Waitrose, Sainsbury, Morrison. ASDA, LIDL and ALDI. THIS WEEK'S JOURNAL WILL BE COMPLETED AND ON LINE 'sometime' on SATURDAY EVENING! It's been a week of variety this week: Hadlow College on Wednesday, a visit to apple variety 'guru' Joan Morgan with a dozen varieties from my brothers small orchard in his garden in Wiltshire on Thursday and 'today' Friday 29th September involved in the 5th Pip to Plate event at Hadlow College and tomorrow; Saturday 30th September supporting Ightham Mote's apple event.. The English Apple Man website is now 8 years old! Some time ago, my friend Leon Jahae asked me to act as a guide for a group of fruit growers from Lake Constance as they visited fruit growers in Gloucestershire, Hereford and Worcestershire. Last week The English Apple Man attended Fruit Focus and reported some of 'the action' and this week's Journal will include more from Fruit Focus........this week The EAM has been in the West Midlands visiting growers in Gloucester, Hereford, Worcestershire and Shropshire....which will be reported fully over the next few weeks! UK Cherries, like Home grown Asparagus, are in my opinion superior to any from overseas.....but the season for both, is short....however modern methods are extending both beyond their 'historic' natural season. In 1947, soon after the end of World War 2, Arthur Conference Goatham set up in business: initially while living in Bearsted buying fruit at the farm gate or at auctions. In 1980 Arthur moved to Hoo on the Isle of Grain and bought Street Farm. But what will the future hold? Today: Friday 9th June, The English Apple Man joined the next Under 40's Committee and past and future U40 delegates at Chandler & Dunn's farming enterprise at Lower Goldstone in East Kent. How will the mixed weather over the last two weeks influence the potential for this year's crop? Oh Dear, its all change again - life after Brexit has taken on a new dimension! Is it mid April or mid May? What a week...5 intensive days in the Western Cape of South Africa..
Canker is almost certainly the most challenging tree health aspect of apple production..
What has The English Man been up to this week? What is on the English Apple Man's agenda for 2017? What's been happening in 2016? Still got my nursing hat on! This week has been a difficult one! On Monday; Mrs English Apple Man had a new knee! We are now in October and while many varieties have been picked, the later maturing varieties are approaching harvest time. Pip to Plate and other bits and bobs! The English Apple Man joined East Kent Fruit Society (EKFS) members on Tuesday evening for the Winning Orchard Walk. The Annual Fruit Focus event was held at East Malling Research on Wednesday 20th July. The 28th AGM of the British Independent Fruit Growers Association (BIFGA) was held this week at Hadlow College.